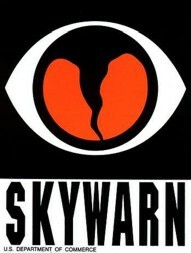 The organization of spotters and the distribution of warning information may lay with the National Weather Service or with an emergency management agency within the community. This agency could be a police or fire department, or often is an emergency management/service group (what people might still think of as civil defense groups). This varies across the country however, with local national weather service offices taking the lead in some locations, while emergency management takes the lead in other areas.